Genealogists love family reunions. Some of our reunions are now online. Facebook groups, Twitter posts, email lists, and collaborating on an online family tree are all ways that virtual reunions can be fostered. There is no replacement for the old fashioned face to face reunion. The Harrington brothers reunited in 1978. Left to right, Bill, Harold and Cleve Harrington. 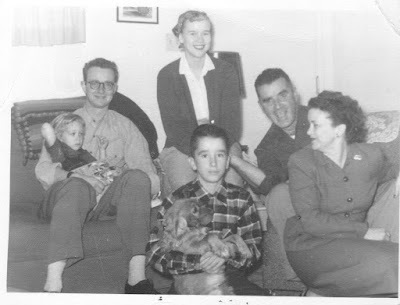 Grandpa George Kelly and Grandma Elaine Coffman Kelly on right were frequents hosts of family gatherings at their homes in Sacramento and Lake Tahoe. 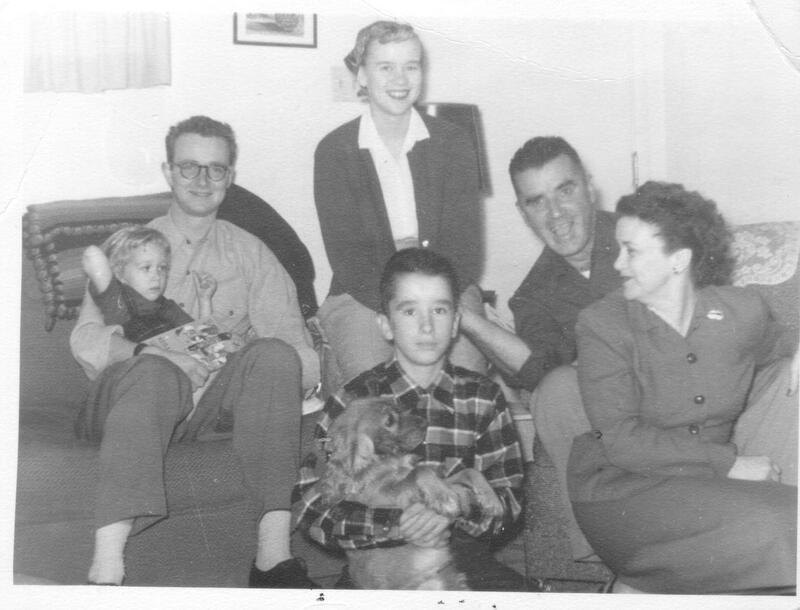 Left to right: cousin Christine Watson on her dad's lap. My mom Jill Mayne Cimino and her half-brother, Jack Kelly. 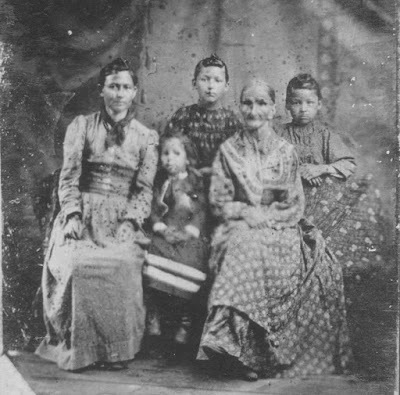 with her mother, Lydia Moss Garvin in the Choctaw Nation of Indian Territory. Three out of four Cimino siblings gathered in Santa Rosa last year. An encore reunion is scheduled for this year. Left to right: Faran, Vicky and Nick Cimino. Preparing for a in-person reunion requires a little more effort and planning. Should this be an individual meeting or a large group? Do you meet in a home, a restaurant, a library, a meeting room or a family history center? Should you create a family tree poster or a simple descendant list. How many binders and albums and pictures should you bring? There is no right or wrong answer to these kinds of questions. The mere fact that you get together and meet each other will create lasting memories. It helps to make the long hours of effort in compiling genealogical records, stories and photos worthwhile. It is also an opportunity to collect more information. Last summer we were able to reunite in person with cousins and siblings on both sides of our family. After returning home, I wrote about the Fitzpatrick mini reunion between my wife and her cousin which I had the great joy of facilitating. We were able to collect dozens of images from the Fitzpatrick family which I have posted to the Cimino and Harrington Family Tree on Ancestry.com. I also transcribed a book written by Vesta Price Fitzpatrick called Uravan which I received from a reunion with my mother in law. This summer has even more reunions in the planning process. I encourage you to start planning your own family reunions both virtual and in-person.